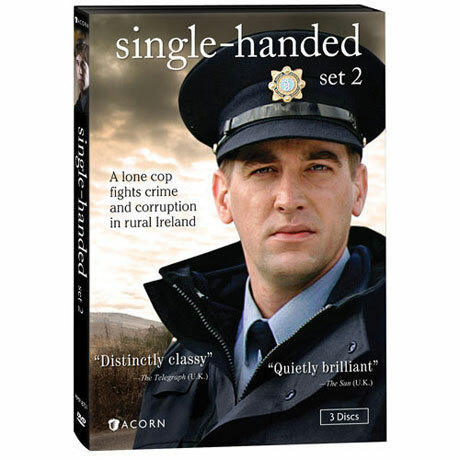 Amid the spectacular and foreboding beauty of Connemara, Ireland, a lone cop fights crime and corruption. Local Garda sergeant Jack Driscoll (Owen McDonnell, Wild Decembers) is at the heart of his small community, as he investigates the killing of an elderly recluse, a murder dressed up as arson, and a local schoolgirl's involvement with a Dublin pimp. 3 mysteries, 5 hrs, 3 DVDs, SDH. Mature audiences.